Dr. Dan Rairigh, in addition to being a dentist, is also an accomplished painter, so if anyone understands the aesthetics of the perfect smile, it’s him. Whether you simply want a touch-up in time for a special event or you want to get rid of a flaw that has bothered you for years, he can help you do it, and you’ll absolutely love the results. At our practice, your smile will literally be crafted by an artist with over a decade of experience. To start getting your dream smile today, contact us for an appointment. They are extremely thin ceramic shells that are fitted to the front of the teeth, and they are custom-made to improve their appearance in every way. With them, you can get everything from a minor improvement all the way to a dramatic makeover. It all depends on your desires. If one of your front teeth become damaged or decayed, we’ll take extra special care of it using a metal-free, all-porcelain restoration. Dental porcelain is just as strong as traditional meta; it can also be shaped and shaded to perfectly mimic natural enamel in every way, even down to how it reflects light. Between Dr. Rairigh’s artistic touch and this material, he can create restorations so lifelike that even our staff has trouble distinguishing them from real teeth. A bright, white smile can easily take years off of your appearance, which is why we’re happy to offer two kinds of professional teeth whitening. If you want quick results in time for an upcoming special event, our in-office treatment can be completed in less than an hour. Alternatively, if you would like to whiten on your own schedule, we can provide you with your own custom-made kit that is specially designed for just your teeth. Whichever one you choose, they can easily make your smile up to eight shades whiter in no time! 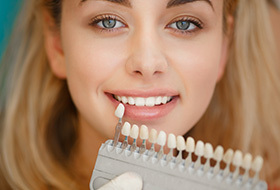 Does your smile need a do-over? Do multiple dental issues cause you to always think twice before smiling? If so, then a smile makeover from Dr. Rairigh can turn that all around. 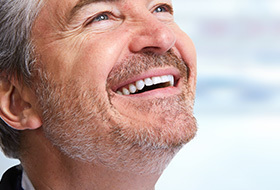 Using a customized plan that combines multiple procedures into one comprehensive treatment, he can completely restore your smile’s beauty and function at the same time. 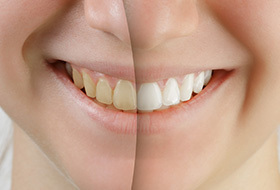 No matter what your teeth look like now, a smile makeover will make you want to show them off all the time. 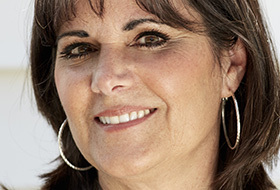 At our practice, you can get a smooth, youthful face to go with your beautiful, new smile! Dr. Rairigh has taken special training to provide non-surgical wrinkle treatments right in our office so you can walk out looking like the most beautiful version of yourself. Wrinkles on your forehead, around your eyes, nose, and lips can quickly disappear thanks to a few well-placed, painless injections, and the results can last for months at a time.